For WordPress user, especially those who usually wrote using its mobile apps. Did you ever notice the word written in the body of new post? So it actually means that wordpress is trying to persuade us to share our stories, every time you click new post that is. I mean, is it hard to write? You just need to tap on your phone keyboard and start writing. Perhaps, some of you will ask, why do we write? For us, Indonesian blogger or writer or journalist, writing is one skill that we can do, just like pilot who can fly a plane. Being able to write is a great thing, especially for me, because by writing, I can share my own thoughts. My opinions. And share them to other. 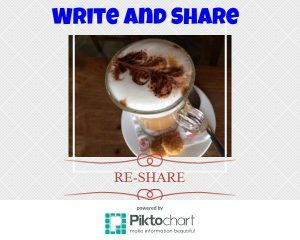 You have the ability to write, so write and share. If someone ask me: “Why do you write?” I will answer: “I can write, so why don’t I write?” I can share things with my writings. And hopefully, my writings is useful for others. How are we supposed to write? Like a man said before: “With great power, comes great responsibility.” Do you know who said it? Yes, that’s what Uncle Ben said to Spiderman. And it is actually for us also. Us, no matter who we are, either blogger, writer, journalist, pilot, accountant, etc. We have to responsible of our own actions. So, if someone ask me how to write, I will say: “Write responsibly.” People will read your writings, any one can access your writings online. So, be responsible of what you write and share. What are the things we need to write? Conjunction with the previous one, write responsibly, if someone ask what to write, I will say: “Write things that you do know.” Write things that you are expert in or based on your own experiences. 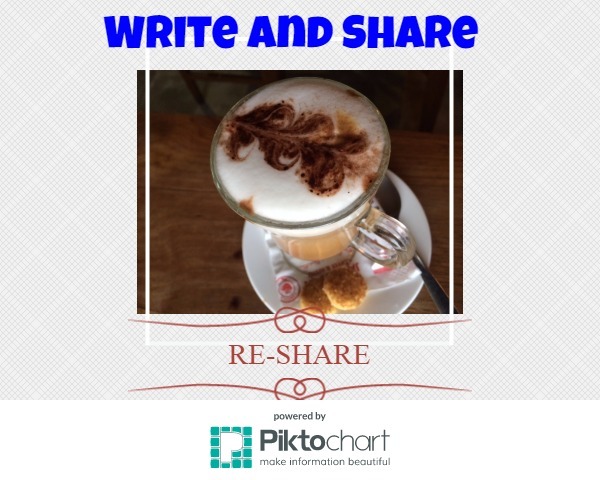 Write things that you want to share that is truly helpful. We ARE NOT writing thing that hoax, that can lead people who read to some black big hole – that has no light at all. If you don’t know whether it is true or not, don’t write it. Share your knowledge, your experiences and other things that you know. Those are the thing that you write. What if we did mistakes? Well, sh*t happens (pardon my language), but we need to keep on sharing and writing our thoughts and let the world knows. Just like this post, I am sure that I made many grammar mistakes because I am still learning. But as many said, just do it. Learn it by doing it. In Indonesia, there’s saying that “the best teacher is an experience” so why don’t make your own experience in sharing things you love and things you know to others. I am certainly waiting for your writings. And the same time learn to do it better and better next time. Sharing my thoughts through writings is something that I can do, so I do it. Like El Gamma Penumbra, one of the Asia’s Got Talents Grand Finalist. They are really good in doing what they can and share their thoughts about Earth through their move. Finally, I finished my third English’s post. Since I pledged to write in English every Friday, aside the English Friday Challenge, I’ve post the pledge itself, How to write in English and today this one, share your thoughts. Thanks for inspiring us, Mas :)). The only thing I prefer is to write freely. Responsible writing is a must, too, but I think it’s best to write without any burden in the shoulder, so what gets out from thia hands could be the honest one :)). Scribo ergo sum. Nice Gara. Excellency you have here. You had persuaded me to write more. Thank you Mas Sandy. Your comment means the world. I like how you censor your swearing in your writing, Ryan. When we write our stories or the stories we know, in a sense we are sharing our values too – reflecting who we are in the world. Do some research for things that we don’t know also a good thing. It helps us in a way also to learn things, right? A friend told me earlier today that, whatever you do, whatever you write, just be yourself. That’s the best way to do it. So wise of your friend to say just be yourself. No lying, no pretending. And if others don’t like who we are, it’s their problem. Yes. But sometime it is very hard to reveal all we are. I mean, does anything about us need to be revealed it all? No. The whole world doesn’t need to know every single detail about us 🙂 Some things are best kept private and personal. That. Still compiling which one can be exposed which one kept. Hahaha. Yes Dan. You teach me that. At least share what you have. The result? Let it flow by itself. Hiyaaaa. I don’t teach you anything Yaaaaaan. *tabok Ryan! You did and I believe still will teach me many things. All of BEC members also. All bloggers.